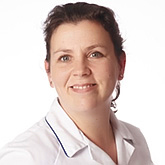 Nurse Juliet qualified in 1993 and worked in UK for 5 years mainly in the area of medical and coronary care nursing. She returned to Guernsey in 1997 and worked at PEH for the next 7 years on the medical wards and in the coronary care unit. Nurse Juliet joined Healthcare as a Practice Nurse in 2004 and enjoys all aspects of practice nursing. Her main areas of interest include heart disease and health promotion, and respiratory care and COPD. She has a diploma in the assessment of lung function and runs the asthma clinic at St Martins Surgery. She also enjoys women’s health and holds a diploma level course within this area, regularly undertaking cervical screening, contraception checks, depo’s and well women checks.